Playing racquet sports is a great way to meet different health club members and discuss all of your great shots and the near misses! At Sport & Health clubs anyone can find a new passion for a fun sport on our gym courts! We offer different leagues for many age groups. Like most of our activities, our racquetball and squash classes are available for children, adults, and the elderly! There is always a game going on so grab your racquet, and your Sport & Health fitness friends, and play a game or two. The fast-pace of racquetball makes it compelling to extreme athletes and engaging to both experienced fans and novice spectators. It's easy, it's fun, and it's a sport for a lifetime. 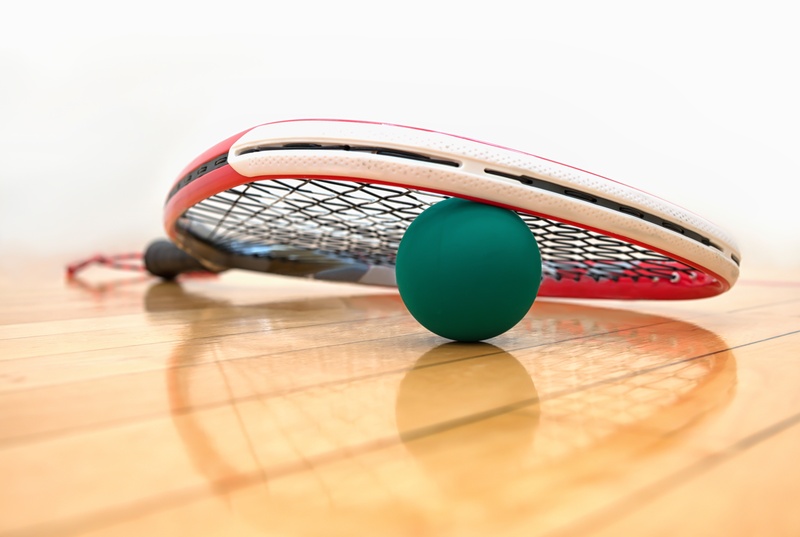 Search racquetball courts near me to find a gym with racquetball or contact a Sport & Health club for instructor lessons or reserve a gym court! Discover the fun, fast-paced excitement of Squash at your favorite Sport & Health Club! Over 20 million squash players participate regularly worldwide in over 185 countries. 23 of the top 25 colleges & universities have on-campus squash courts. Squash players are well educated! 98% of registered adult players are college graduates. Contact a health club for instructor lessons or reserve a squash court below! SquashRevolution.Com Is Now At McLean, Capitol Hill And Bethesda Sport & Health Clubs! Grab your rackets and enjoy the squash courts, lessons and more! Reserve a court or join a variety of adult, junior and team squash programs. Learn more by contacting your club. Great variety of equipment, including multiple squat racks. Again, props for having a functional fitness room that has things like weight sleds, battle ropes, and even a tire flipping machine (which I had actually never seen before). This place is way bigger, and more beautiful than expected. They have pretty much all gym equipment you could possibly need. Great club and staff! The club has everything from a Swimming pool, 2 Basketball courts, BIG locker rooms, and tons of equipment!!! Incredible location, great convenience, very clean club, friendly staff, and super well-equipped. Wide range of free weights and machines, plenty of treadmills and the best stair master machines with steps that are big enough for my tennis-shoe shod feet! Lots of TV screens on the walls and on the treadmills, elliptical and stair machines, for those who want to be plugged-in to the world. The gym has very very clean locker room! Great work out facility. Nice and spacious locker rooms with a womens wet zone only. I absolutely LOVE this health club. My favorite aspect is the indoor track! For more information about our racquetball and squash classes or signing up for a game, contact one of our health club locations above in VA, MD, and Washington D.C. To find your local Sport & Health gym near you, search for: gym near me or gyms with racquet sports near me on your mobile device. One of our staff members would be happy to guide you through the process of signing up for a racquetball and squash class today!